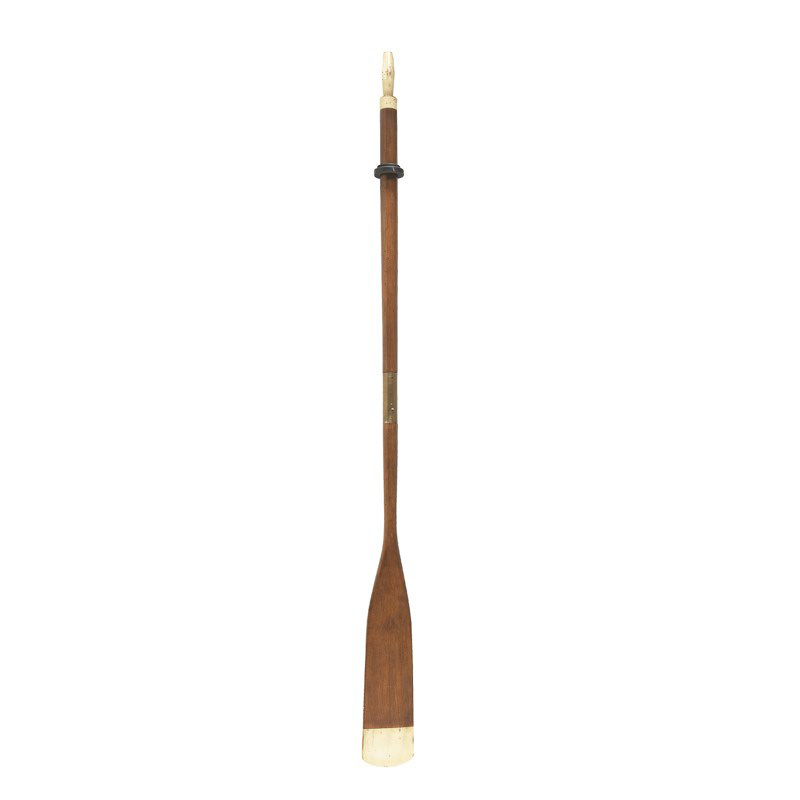 If you thought that oars belonged solely on boats, you’d be a little mistaken – Tender Oars such as these make fabulous, eye-catching display pieces for the home. Whether it’s framing a door or leaning on the porch of your beach-side home, this Tender Oar will accentuate any environment. Boasts a walnut and ivory colour scheme. Dimensions: 13cm (l) x 179cm (h) x 8cm (w).